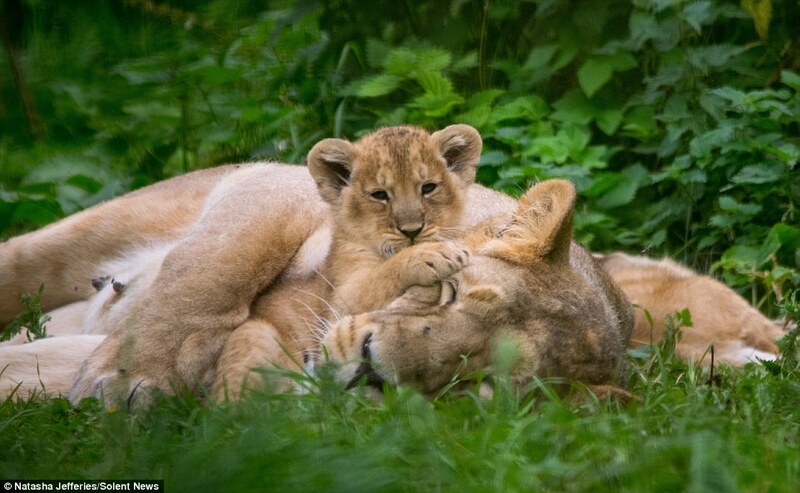 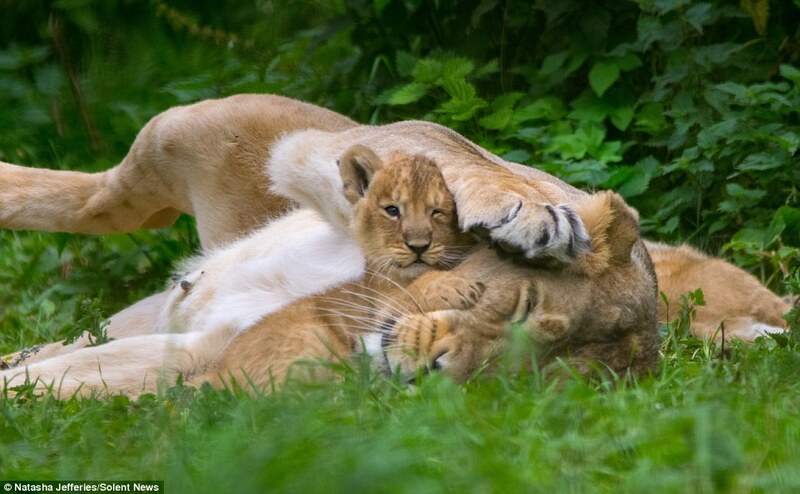 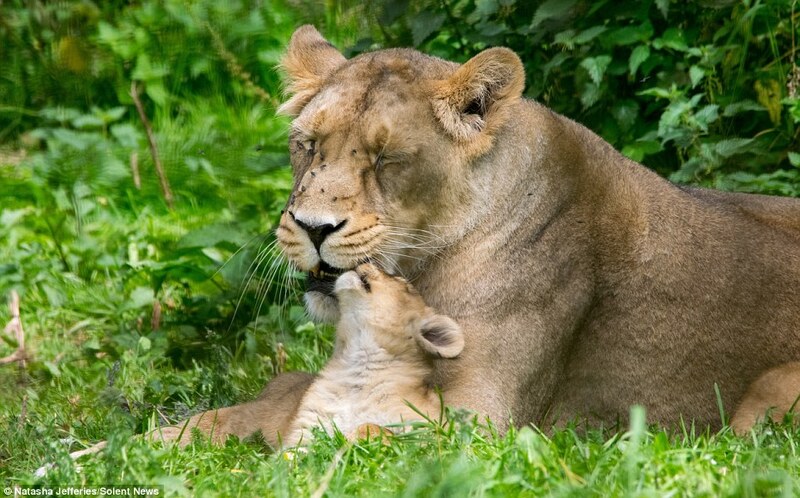 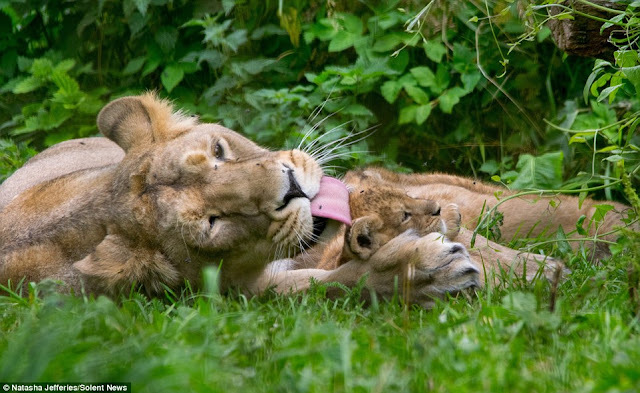 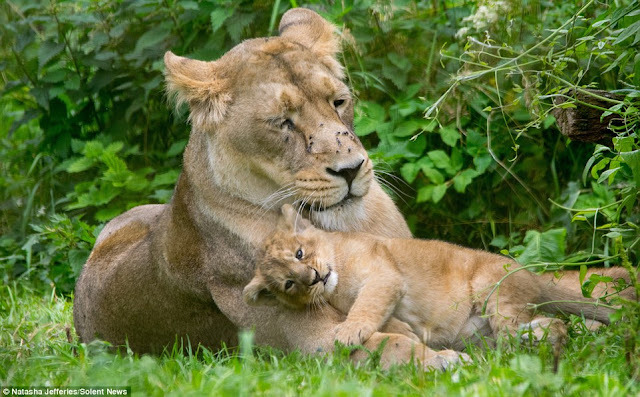 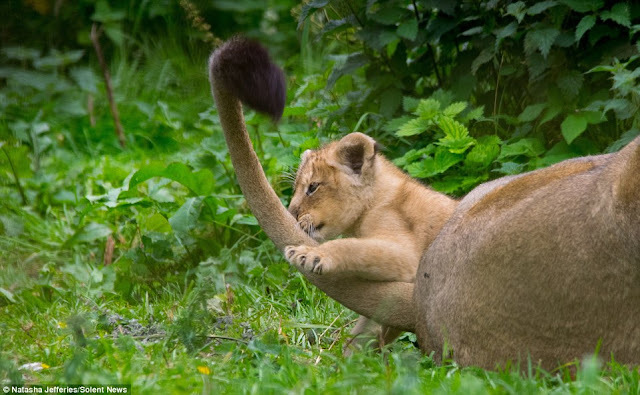 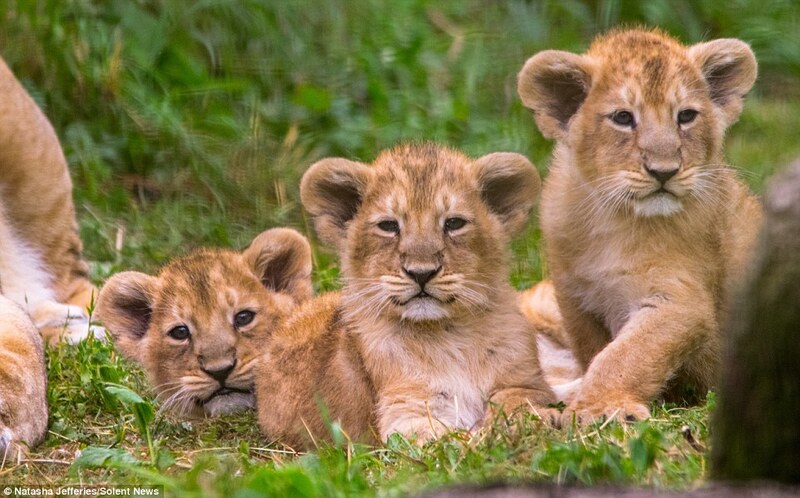 The proud parents, rare Asiatic lions Rana and Kanha, have made history with their very first litter at Cotswold Wildlife Park, near Burford, Oxfordshire. 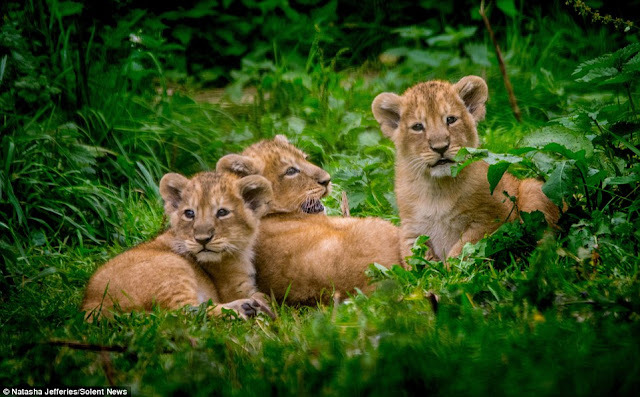 Kali, Sita and Sonika, the three female cubs, are shown playfully running down a grassy slope as they explored their new surroundings. 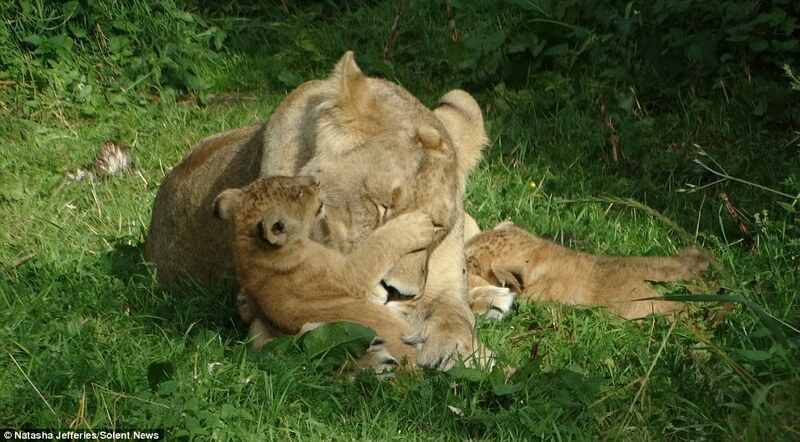 The boisterous youngsters can also be seen nuzzling and playing with their affectionate mum. 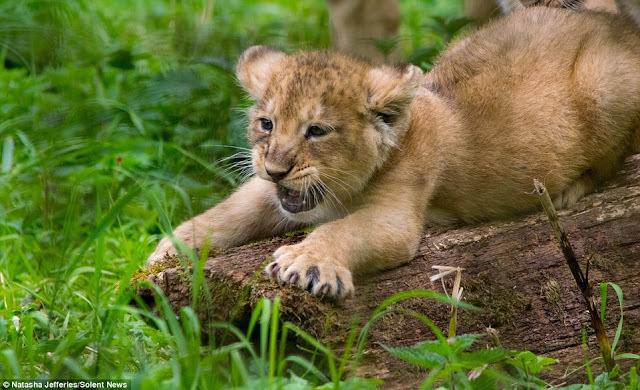 One little lioness appears to be practising her roar and looks ready to pounce as she stretches out on top of a log. Asiatic lions, which are found in the wild in India, are one of the world's rarest big cats, with wild population numbers having declined drastically over the last century, almost to the point of extinction. 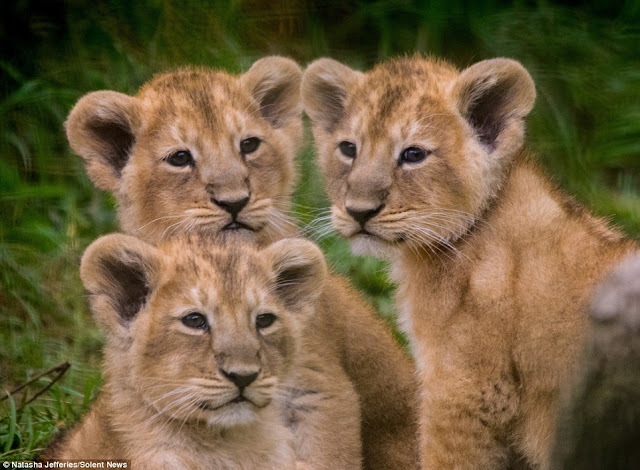 Responses to "Wildlife park celebrates the birth of its first ever triplet Asiatic lion cubs "